I'm proud to be a woman, and proud at how flipping amazing we are, but something I feel disappointed in, is the amount of women that still don't get regularly screened for cervical cancer and abnormalities. With just under 3,000 in the UK being diagnosed a year it's so important to remember that a couple of minutes of discomfort could save your life. 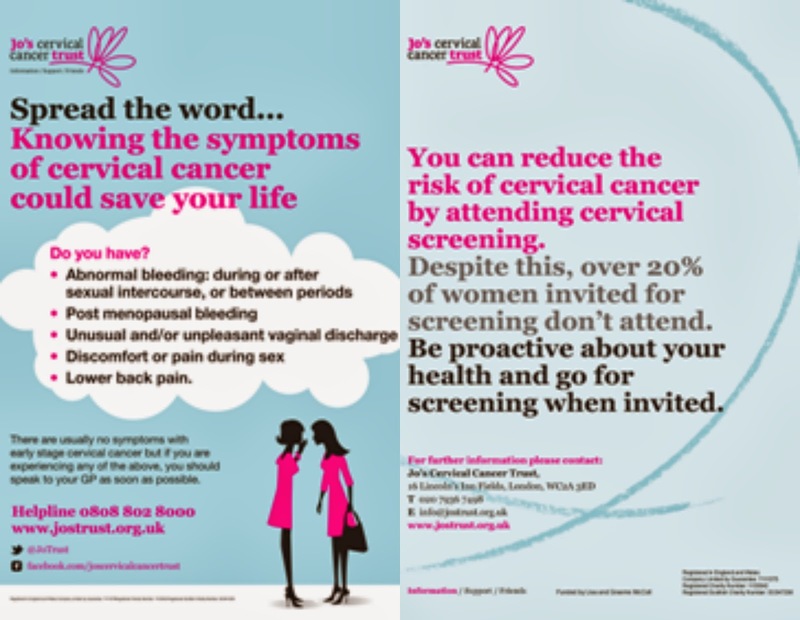 Cervical Cancer Prevention Week helps bring awareness and advice on the symptoms, ways to prevent it and support available. I'm sorry if this sounds dramatic but after having treatment for 'abnormal cells' last year I can't stress how important getting checked is. I had LLETZ treatment to get rid of the cells with a follow up smear done to check the cells had all gone. Given the all clear I made sure that when my sisters appointment letter came through she booked a smear straight away - get it done and over with. Yes a smear isn't the most delightful of processes, but it's really not as bad as people make out. Sure some have had bad experiences but for the majority it's a couple of minutes out of your day. The nurses at my local surgery were lovely during my first smear test and the doctor and nurse that carried out my treatment were amazing. We are incredibly lucky to be given medical care and assistance and I for one hope the NHS is around for my children. I really believe the age for screening should be lowered from the current age of 25 in the UK, and hope with petitions and awareness being raised we can achieve this. What I really want to get from this, is that if you are reading and have put off booking a smear you get it sorted.